I am almost embarrassed to say that I have never tie-dyed anything before in my life until last week. If I tell you the truth I was surprise how easy it was to transform an ordinary piece of fabric into something that I love. Using TULIP Tie-Dye Kit I made this Flag Pillow. 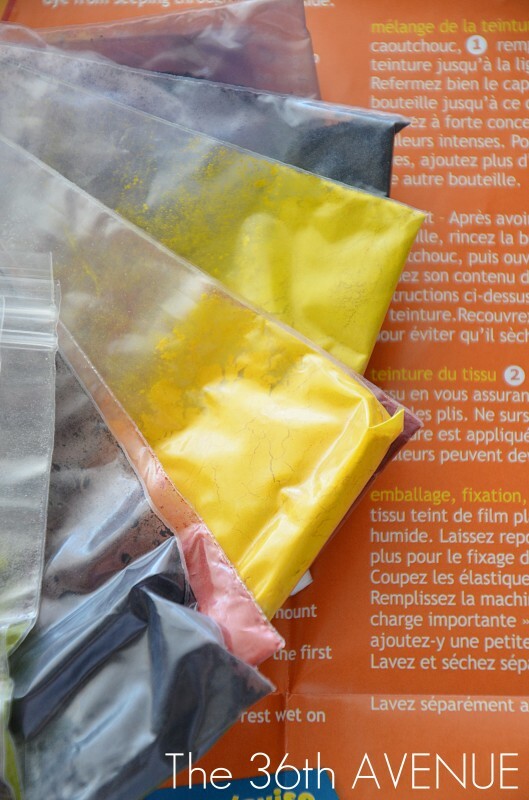 The TULIP Tie-Dye Kit comes with everything you need but the fabric. 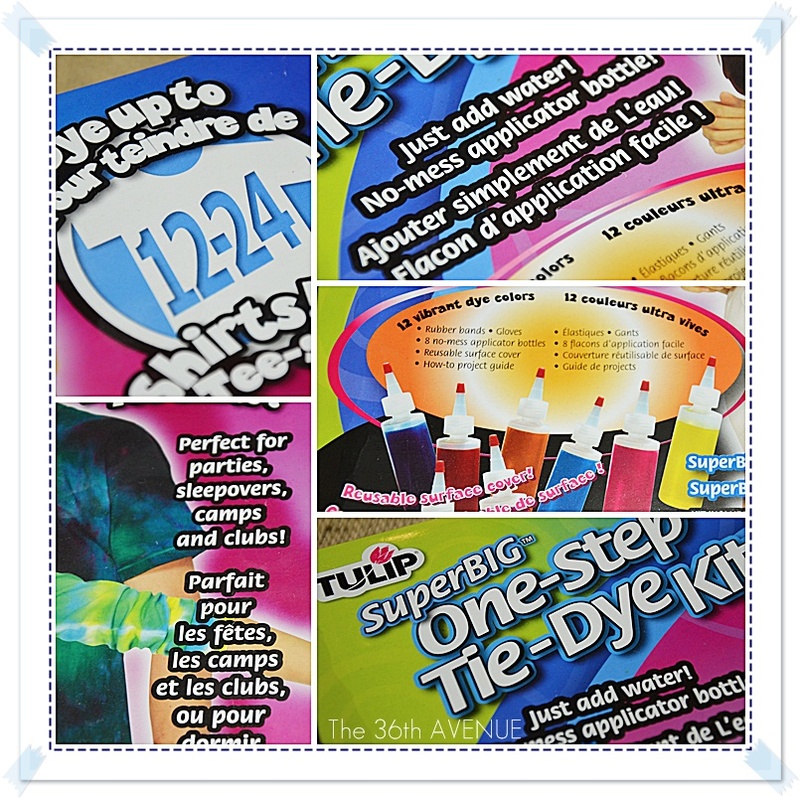 Includes 8 4oz bottles, 12 different color dyes, 8 pairs of gloves and 40 rubber bands. 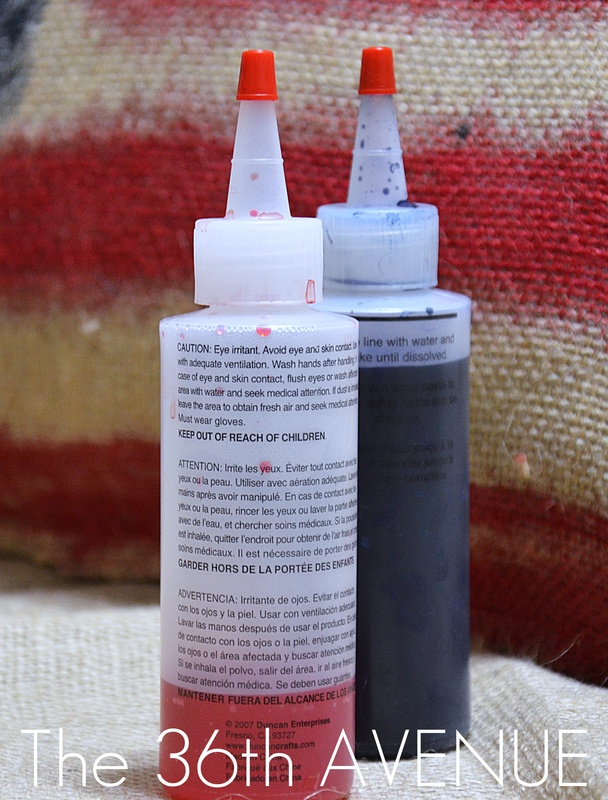 When I was done reading the second thing I did was test the dyes. I wanted to make sure I had the right color. As I tried them I labeled each bag with the name of its color for future reference and use. At this point I was ready to create. I mixed, inside of the bottle that came with the kit, the dyes with water according to the direction. I wanted my pillow to have a rustic old look so I eye balled the stripes for the flag. Using the tip of the bottle I traced the red ones first. 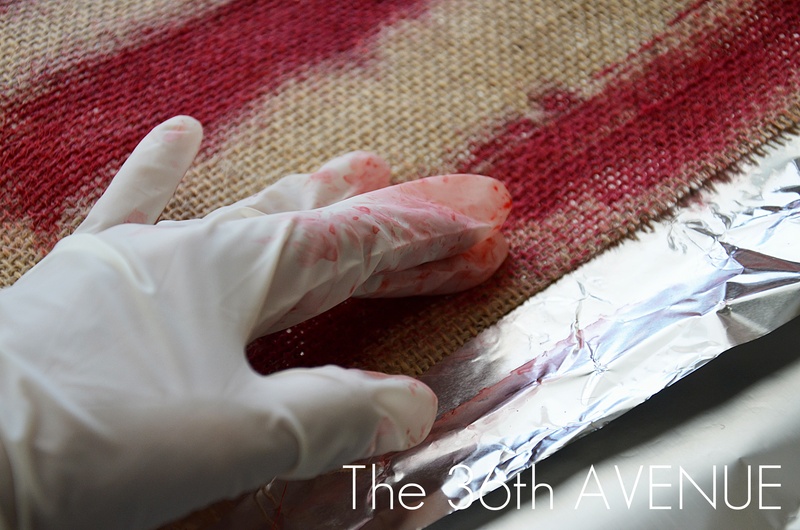 Then I used my finger to spread the dye. More dye you put more even the look will be. I wasn’t worried about it being perfect so I just had fun with it. 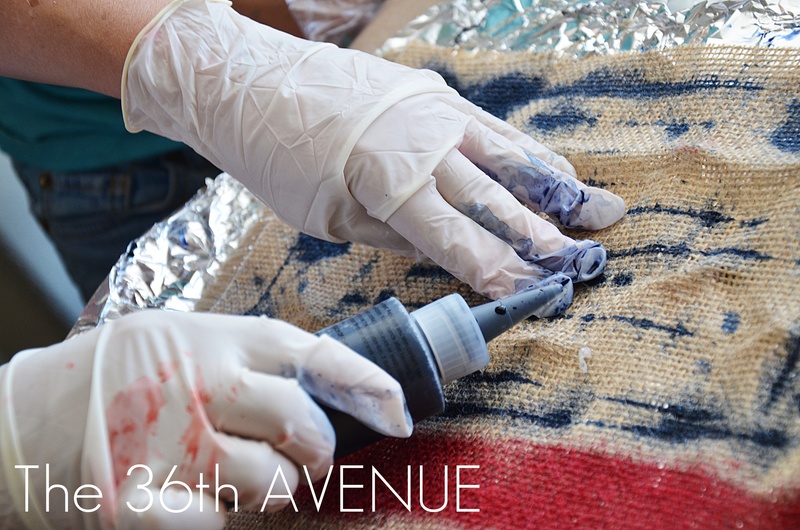 After I was done with the red I repeated the same step for the navy blue rectangle. 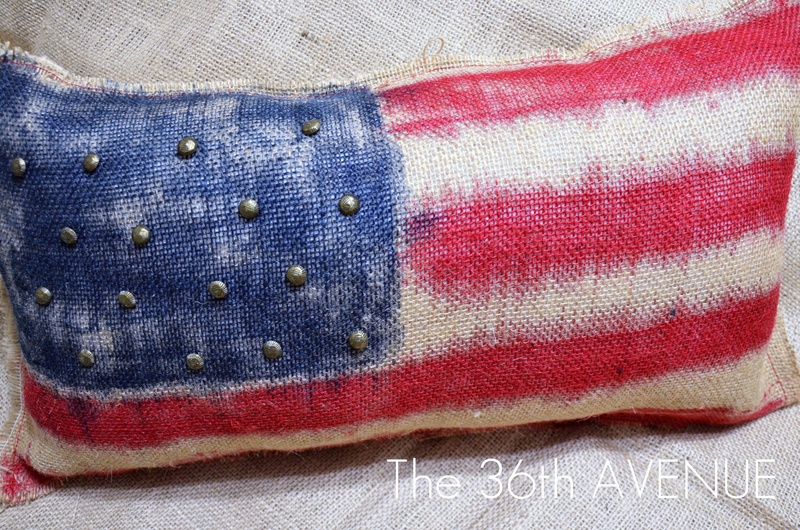 Then all I had left was to let it dry and sew the flag to another piece of burlap to make a pillow. I added some old metal buttons that I had to give it a little more detail. I was done and ready to display it! So if you were like me thinking that Tie Dye is just for T-shirt… think again my friend! Next time you think about Tie Dye make sure to give TULIP Tie Dye a try. I wrote this post as part of a paid campaign with iLoveToCreate.com and Blueprint Social. Love, love love and shared in our latest Labor day decorations post. Thanks Desirée, I’ll get the link over to you when its live. Hello again! 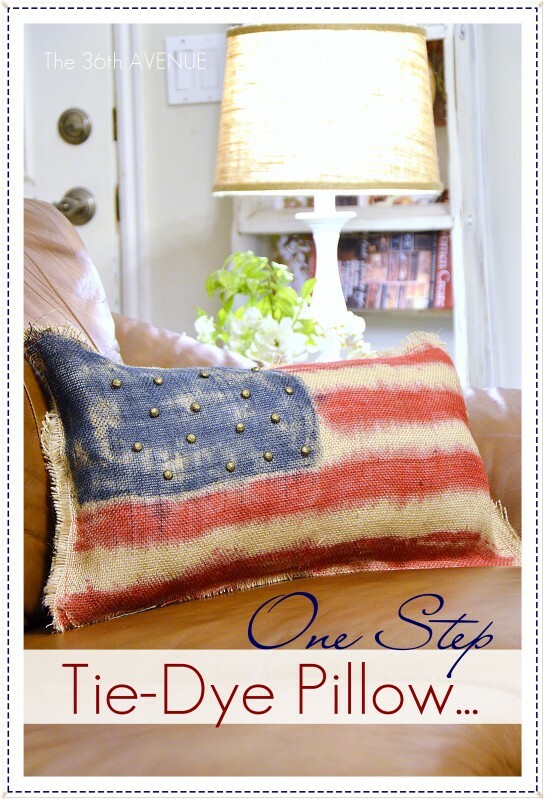 I am featuring your pillow on my 4th of July roundup on my blog today, at http://www.myclevernest.com. I’d love it if you stopped by! 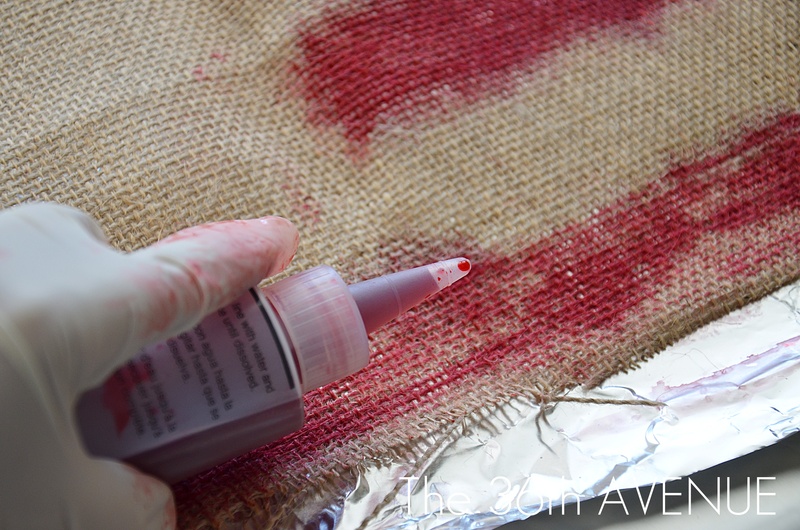 I found your pillow from craft gawker, and I love what you are up to on this blog! I am your newest follower! 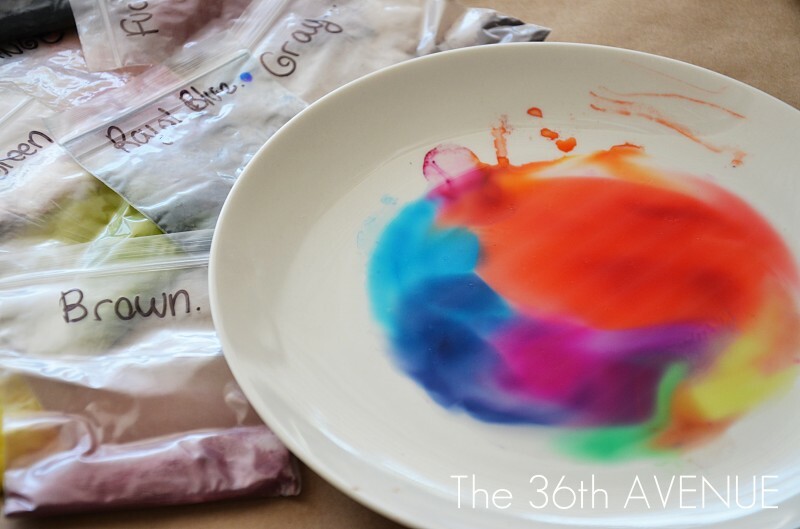 What a clever use of tye die! Who needs all those rubber bands … and it’s perfectly patriotic! Congrats on the feature at Funky Junk too! Thank you Linda for the comment and the visit! Really loving how your pillow turned out. Awesome! !